The Buck Bones® delivers high-performance, high-tech design in an affordable package. The modern, stainless steel handle utilizes skeletal framework to minimize weight while maintaining strength. The curved, ergonomic handle includes built-in grip ridges at three critical pressure points for secure retention. Treated with an innovative coating to protect against the elements. 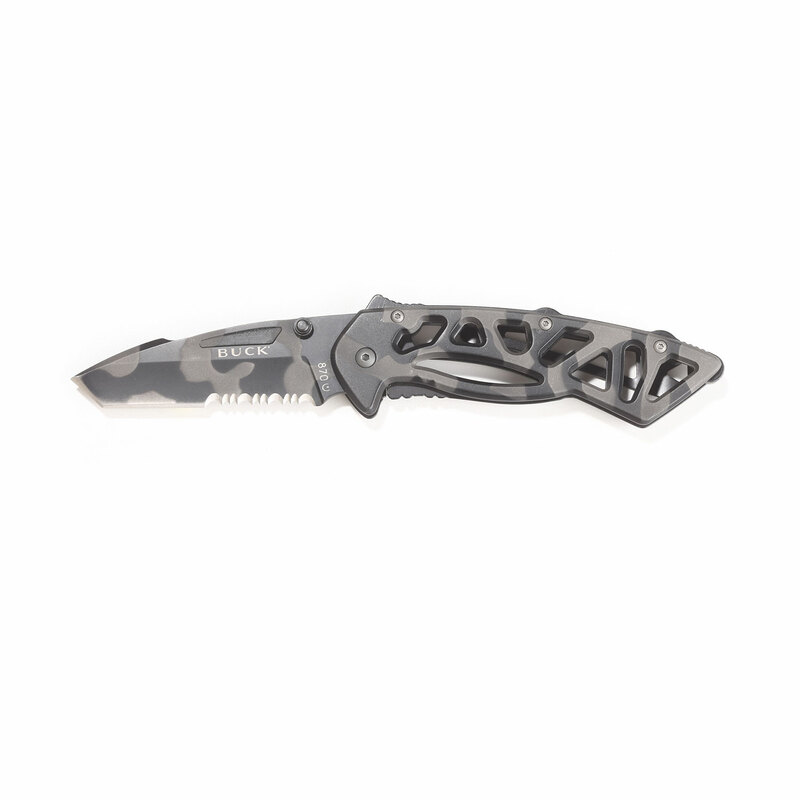 Thumb stud allows ambidextrous, one-handed blade deployment. 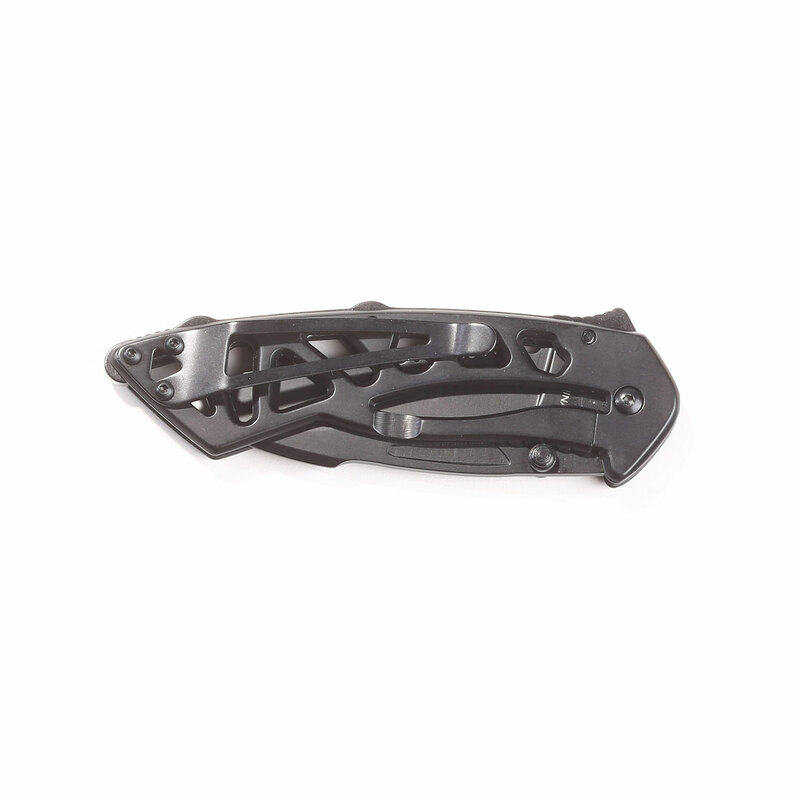 Removable pocket clip and lanyard hole for convenient carry. 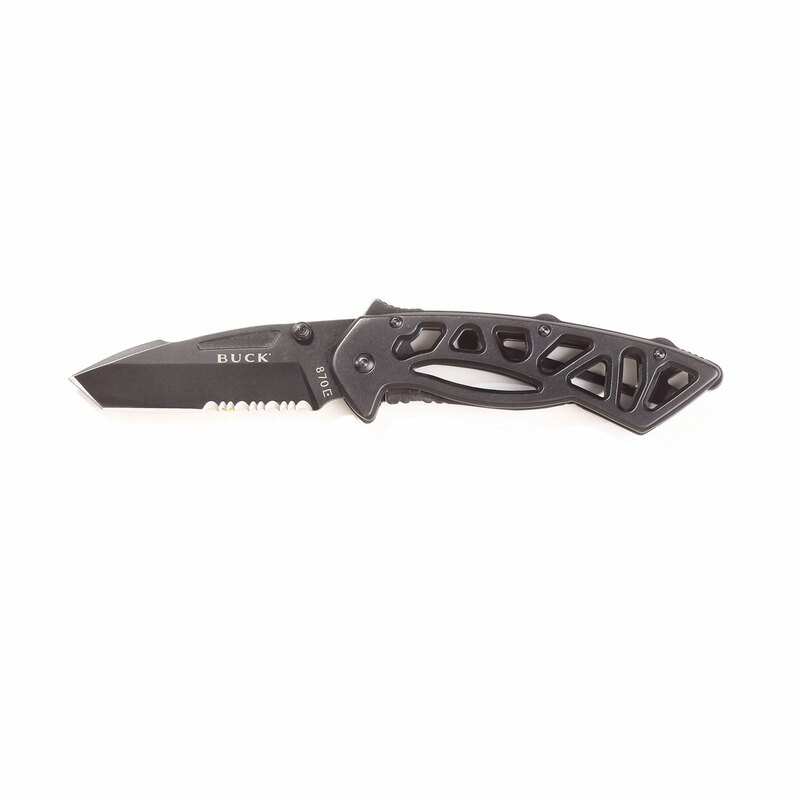 The modified tanto blade results in an incredibly strong point that holds up to piercing, scraping, and prying. Blade serrations deliver ferocious cutting power, especially useful when cutting ropes, lines or cables. The frame lock mechanism provides smooth and reliable lock-up. The 420HC steel blade approaches the wear resistance of high carbon alloys while delivering the corrosion resistance of chromium stainless steels. Buck’s exclusive heat-treat process produces a user-friendly blade that’s easy to re-sharpen, without compromising corrosion resistance, strength and durability.